Nurses work tirelessly to meet patients’ needs, but for many, this comes at the cost of their own health. Nurses are more likely to be overweight, have higher levels of stress and get less sleep than the average American, according to the American Nurses Association (ANA) Health Risk Appraisal. They are at risk for burnout, illness, injury and musculoskeletal pain. They make up the largest subset of health care workers, and one in every 100 U.S. citizens. These are just a few of the statistics driving the ANA’s Healthy Nurse, Healthy Nation™ Grand Challenge, an initiative to connect and engage nurses, employers and organizations around improving health in five areas: physical activity, nutrition, rest, quality of life and safety. Their challenge? To improve the health of America’s 3.6 million. Their methodology for engagement was a “Grand Challenge” for social change, similar to those movements to ban smoking in public places, use seat belts and to stop littering. With the help of the Internet and social media, connection and friendly competition is motivating people to truly change their behavior and improve their health and wellness. 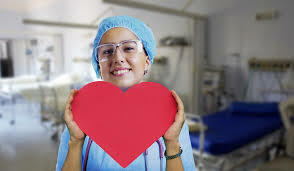 To learn how to improve the health of your nurses visit us at SelfCare for HealthCare™. Interested in LeAnn Thieman’s keynote speaking, training and workshops? Email lthieman@leannthieman.com.